Successfully Added Mini IR-CUT Camera 1080P Full HD Camcorder Infrared Night Vision Micro Cam Motion Detection DV Camera XD version to your Shopping Cart. 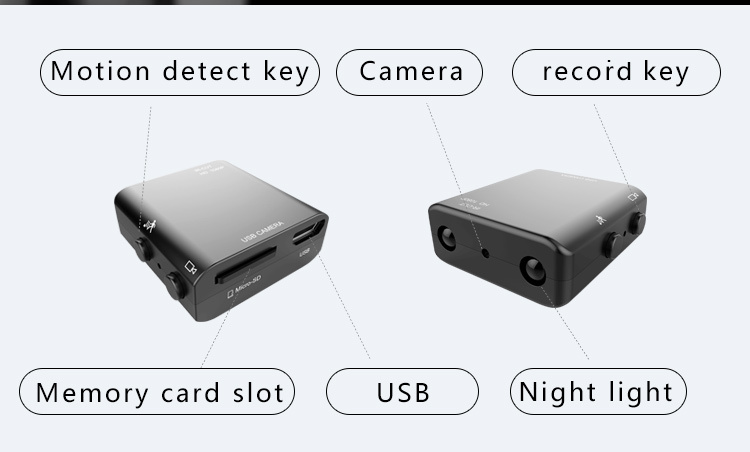 Mini camera, more convenient to hide, stronger concealment. HD 1080P, imaging more clear, more vivid colors. 2x5*8MM night vision lights, 940nm Lamps, no light lighten,recording without flash, night vision distance can up to 5 meters. IR-CUT, activate/deactivate the night vision automatically, upon the ambient environment change. 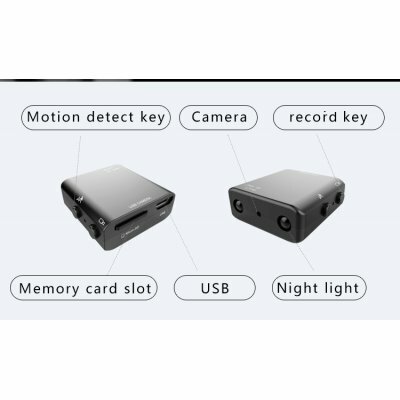 Very easy to use, one-click video, one-click motion detection. Loop video, can turn on and turn off. Timestamp can show and hide.